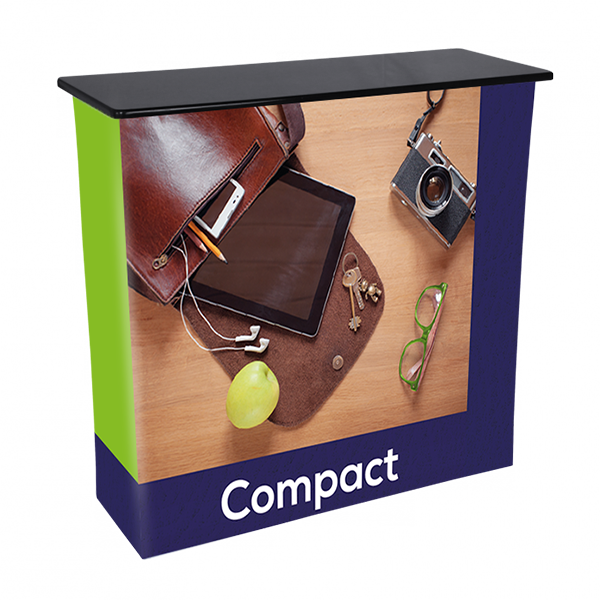 The Compact Counter is a portable counter or podium that can be used indoors or temporarily outdoors as part of a trade show booth or mail kiosk. 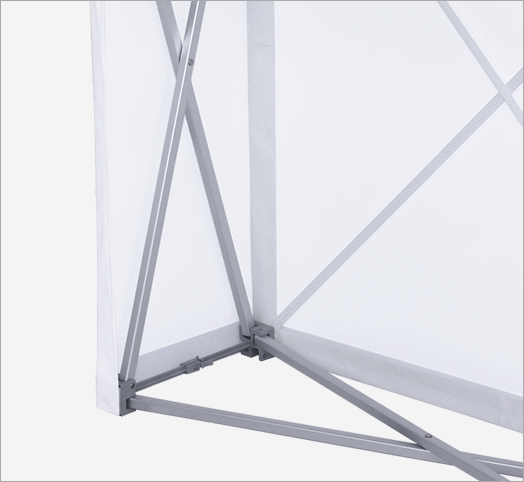 The lightweight, easy to set up that effectively communicates your message anytime, anywhere. The fabric print can wrap around the sides of the display and is finished with hook-and-loop adhesive to create a smooth appearance. 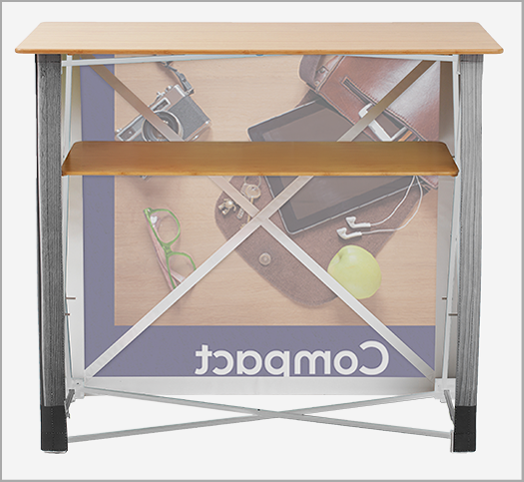 The Compact Counter is constructed of a 4'x3'x1' aluminum frame that can be assembled quickly an easily without tools. It features a sleek countertop as well as a hidden shelf for storing product samples and brochures. Padded carrying case is included with the Compact Counter ensuring convenient storage and easy transportation. Compact is a convenient, elegant fabric counter solution. 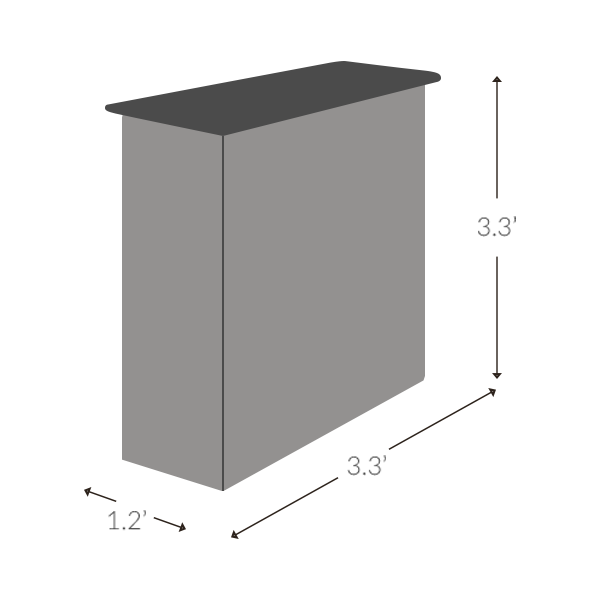 With instant setup, no need to dismantle the graphic as it remains attached to the structure. This light weight counter comes with carrying case for secure and convenient transport from one place to another. Key points to know about Compact. Make life easier with easy-to-assemble hardware which allows for quick set-ups and tear downs at every event. High quality hardware constructed to set up with ease and sustain everyday use. Design your Compact any way you want. Full colour digital printing. 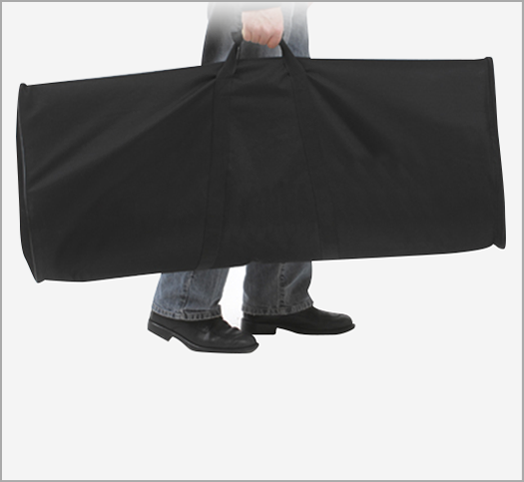 This Lightweight Counter is ideal solution for your travel exhibits.